Who’s birthday is it today? Well there’s always Alexandre Dumas, Amelia Earhart, Wonder Woman herself: Lynda Carter and J-Lo, but the one that counts for me is none other than Trevor Von Eeden, who turns 50 today - the 24th of July, 2009. 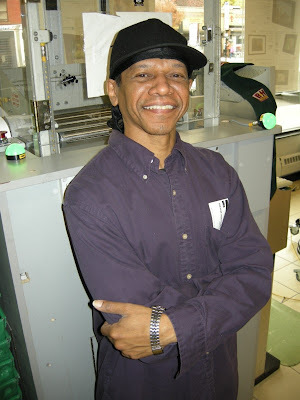 There’s easily fifty good reasons why Trevor Von Eeden is a giant amongst comic book artists, but for the sake of space, I’ll list five big ones. And Speaking Of Dr Who...Room With A Deja View! Generally I don't do reviews, but in some cases I tend to make an exception or two - this is one of those cases. 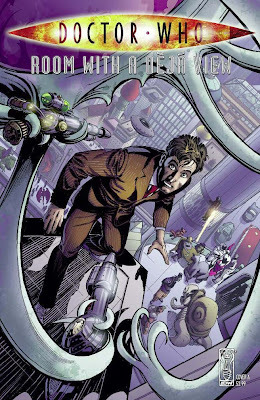 Rich Johnson, he of Bleeding Cool fame, sent me his latest offering, Dr Who: Room With A Deja View, and asked what I thought of it. I'll get to those thoughts in a second, but I feel it might be a good idea to have Rich set it up. "It's a story that uses time travel in the actual structure of the comic itself," says Rich, "which can make it intentionally hard to read as a comic (I'm trying to get the reader to work a little). "One trick is that, just as the TV show, blue means backwards in time, red means forwards, and the colours of the gutters reflect that. Basically one specific chunk of the book reads better forwards than back. But hey, we all read manga now, should be something fairly easy to work out." Confused? Try reading it without knowing the trick. I'm dead sure that these images have done the rounds, but hey - I'll repost 'em. These are some of the first pictures of Matt Smith as the 11th Doctor and Karen Gillan who plays his companion Amy Pond. 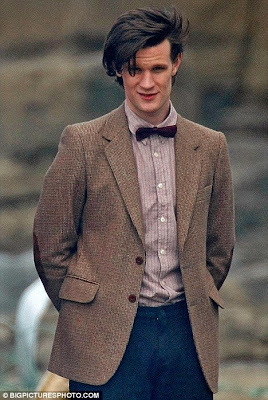 It could be my imagination, but other than looking a little too young to be playing the Doctor, doesn't Matt Smith look a little too much like the Second Doctor, Patrick Troughton, in the fashion stakes? You decide, or not. Either way I'll be watching the new series, but I'm not sure how I'll take the new Doctor, but a lot of that will be down to the bloody brilliant jobs that Christopher Eccleston and David Tennant have done over the past few years. Until then have a peek at the remaining two photos and fingers crossed! Well I'm not exactly sure I'd still call this the 'Unseen Peanuts' (and I know, I know, I just did) but it's certainly not a commonly seen Peanuts strip and it's one that I doubt will make it into the excellent Fantagraphics series The Complete Peanuts. 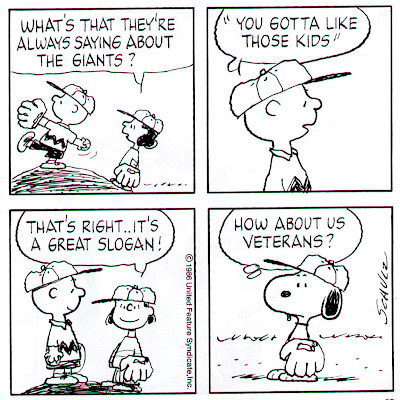 This strip was commissioned for the (New York) Giants Magazine, issue #4, which came out sometime in 1986. The strip is a direct reference to the baseball team and I expect that it was warmly received. I've always found it remarkable that there's probably plenty of other strips such as this, from Schulz, that appeared in publications all over the planet but more than likely won't be collected in the reprint series. It's a shame really, as it could make for an excellent extra volume - perhaps one of strips and other illustrations, such as toy design, boxes, cards, post cards - you name it, Schulz drew it. In the meantime, from my scanner to your eyes, enjoy!